Although several of these switches support direct interoperability through Z-Wave associations and scenes, I’ve been typically more focused on home hub controls (see the Best of the Home Automation Controllers Review) to achieve the highest level of automation. While you’re upgrading your switches, it may also be a good time to replace any dirty old scraped up wall-plate screws with clean new ones. These from Leviton have worked fairly well for me and are somewhat scratch resistant, but considering how often as I remove my wall-plates, I’m interested in hearing from anyone that has found a more scratch resistant alternative. The information on the switches in this table is based on my research, testing and reader feedback. There may be discrepancies with the actual products. Please let me know of any errors or omissions. Suggestions on additional products or comparison features are always appreciated. Opportunities abound for smart switch innovation – considering their convenient location options in every home and easy access to power. I’m not sure why other companies have failed to give these comparatively simple devices the full attention they deserve, but HomeSeer definitely gets it. 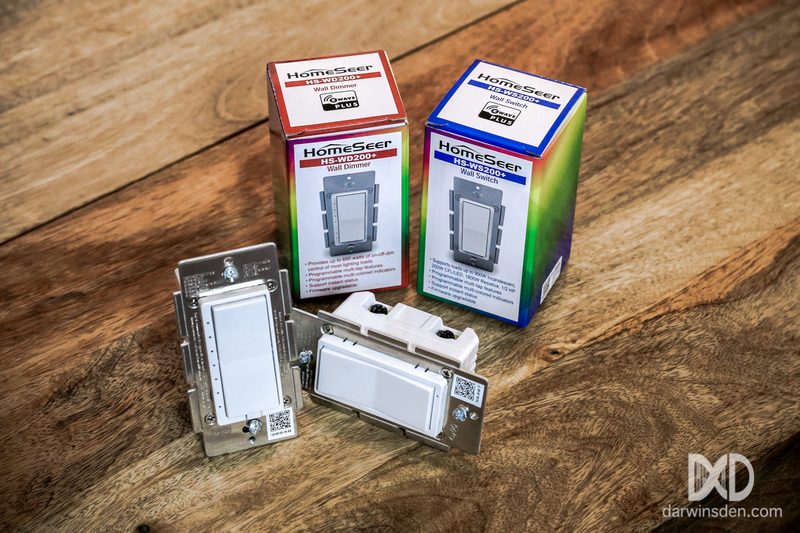 With the release of their new 200+ series switch and dimmer, HomeSeer has once again hit it out of the park on what I consider to be one of the most useful Z-Wave devices on the market today. While the previous 100+ series switches were extremely well liked from my observations (and device handler code link click stats), the two most common complaints were that the white LED’s did not match the standard blue of many other popular Z-Wave switches such as the GE’s and also that there was no “night light” option for the dimmer to set the bottom LED when the dimmer was set to off. These new switches have the same look and feel as well as instant status capability as their 100+ series predecessors while addressing the issues mentioned above. In addition, these new offerings expand on the multi-tap features and provide an intriguing LED status mode option allowing individual control of the LED color and blink status. As with the 100+ series predecessors for these devices, the instant-on and multi-tap capabilities worked well for me and the dimmer produced no noticeable hum or flicker. I noticed no degradation from the prior capabilities and I had no issues controlling the LED colors in both status and normal modes. A simple use case for these switches might be to turn on your porch light with a single press, include pathway lighting with a double tap, and also include flood lighting with a triple tap. For a full review and SmartThings Device Handler information, see the DarwinsDen.com HomeSeer 200+ Evaluation post. If you’re just beginning in the home automation scene, the GE / Jasco line of wall Z-Wave wall switches are an excellent bang-for-the-buck compromise from a reputable name. These switches include a double tap capability which can be programmed to perform specific functions on your home automation system. There is a 0.4-second delay between when the physical on/off switch is pressed and when you actually hear the switch relay click and see the light turn on or off. That sounds like it would be a little more annoying than it ends up being in practice. You get used to it – or, at least I quickly did. The 14294 dimmer is CFL and LED compatible. Ours worked well on our dimmable LED bulb with no noticeable hum. The GE 12723 auxiliary/add-on switch can be added to both the 14291 and the 14294 switches for 3-way and 4-way switch setups. The add-on/auxiliary switch requires one of the GE main switches and a traveler wire. Although the GE switches do not support instant status capabilities, I’ve found in practice that the notification delays to my hub from the GE switches are on the order of fractions of a second and are negligible. For my purposes, very low-latency status back from the switch is not a critical feature. 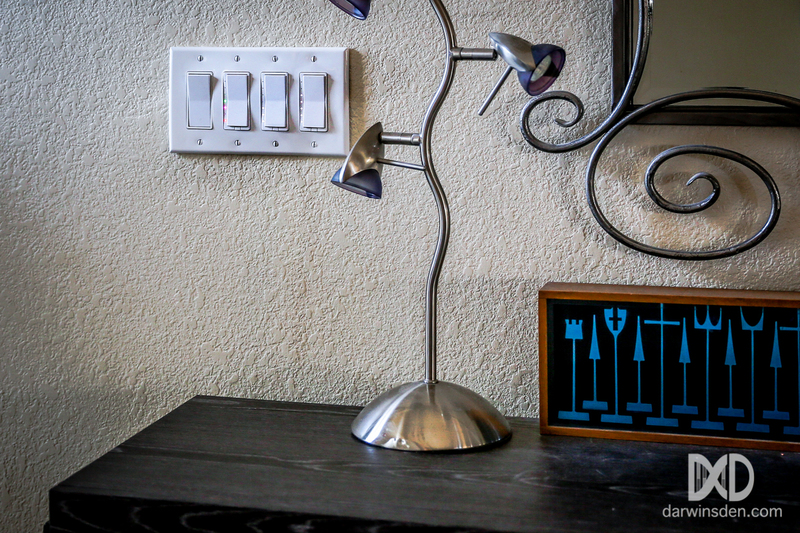 Should you get Smart Switches or Smart Bulbs? It’s one of the most common smart home and smart switch questions and depends on your specific use cases. Smart switches can be cheaper to implement; A single switch can be used vs. multiple bulbs when controlling a multi-light setup, such as ceiling recessed lighting. 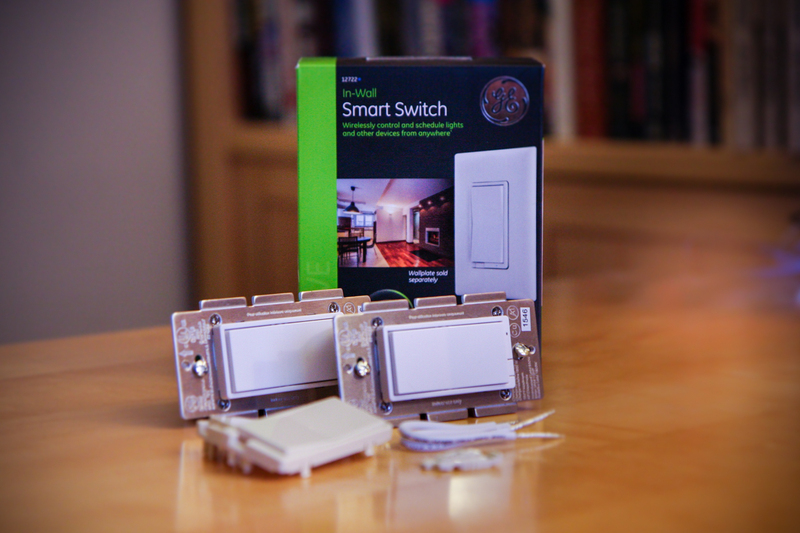 Smart switches operate very similarly to the conventional switches they replace. Smart bulbs, however, when connected to conventional switches, will be inoperable and uncontrollable if the switch has been turned off; For set-ups where you still require a conventional wall switch, your home lighting controls are less likely to be confusing to family and friends when using a smart switch instead of a smart bulb. If you are uncomfortable with the installation and wiring of wall switches. You are renting or otherwise are not planning on living at your property for a long enough period to justify the type of installation required for smart switches. You require the full control of color/level capabilities that smart bulbs offer. You have no need for a physical switch to control the bulb. For more information on switch and dimmer Z-Wave association and scene capabilities, see the HomeSeer comparison tables of dimmers and on-off wall switches they sell. 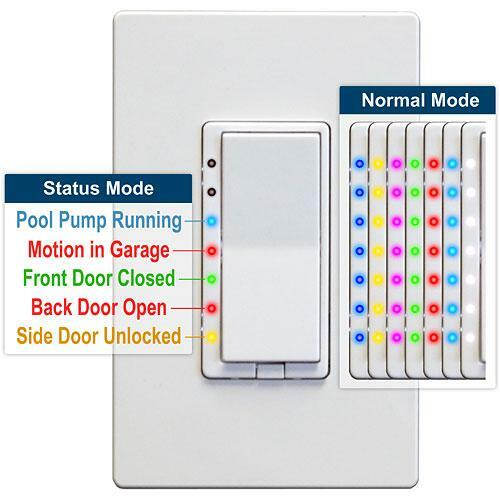 This week, HomeSeer announced their new Z-Wave plus HS-WD100+ dimmer and HS-WS100+ on/off wall switches which provide instant status, double-tap, triple-tap, and press & hold functionality using the Z-Wave central scene command class. It appears that Dragontech may also be selling their own branded version of these switches for around the same price. At $45, these switches look very promising. I have one of each on order and will report back here on my findings when they arrive – and I also will add them to the table. For those interested, HomeSeer has nice comparison tables of dimmers and on-off wall switches they sell, that covers more detail of supported Z-Wave scene classes. How did the comparison go. I have read that the DT version has different firmware than HS. Most notably the DT version does not support instant status updates and central control. Can you confirm? Hi Bryan. I didn’t yet have the answer to the specifics on the latest DragonTech firmware updates, but I believe you’ve been able to work out the answer based on our discussions in the SmartThings forums. I did want to also update here for any readers with the same question. It sounds like from your testing you have been able to confirm that with the latest V5.14 firmware update on the DragonTech WD100+ dimmers, they also support Central Scene commands and perform functionally identical to the HomeSeer HS-WD100+. If you happen to check back in here, please correct any misstatements. Thanks! This article shows January 2017, but then the comments go back to April of 2016. I know Leviton released new Z-Wave Plus products. such as DZ1KD-1BZ and DZ6HD-1BZ. Have those been reviewed? Hi Huck. I had fallen a bit behind, but finally got this updated to include the new Leviton’s, HomeSeer 200+ and Zooz. I’ve also removed a few models that don’t appear to be manufactured anymore. I haven’t tried them yet, but happy to see the new Leviton’s no longer turn on by pressing the bottom of the switch. The original publish date of the article is at the bottom of the page. Sorry for the confusion. I’m somewhat torn on how to keep the content and timestamp updated while maintaining a comment history that’s not completely bewildering.